Prevailing trends regularly change but there will always be a desire for guests to change the natural texture of their hair. We offer solutions to create the texture that will give you the look that you’re dreaming of. 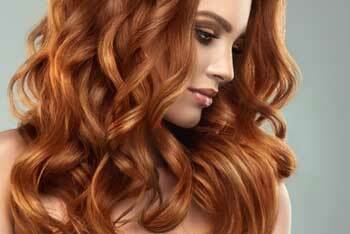 Permanent waves can give you a variety of curl shapes from corkscrew spirals to loose beach waves. Our process results in little damage to the hair and can be a great assist to wearing full, bouncy, beautiful curls. If something a bit sleeker is desired, we have options to permanently straighten your hair through relaxers or straight perm services. These will reduce the natural curl pattern to make it easier to wear your hair straight and sleek with minimal effort. Say goodby to worrying about your hair reverting to curls in heavy humidity. Arrange a consultation now to see which options might be best to support the look that suits you and your style. If combating frizz is an issue, check out our Keratin services page.